For almost 50 years, activist artist George Gittoes has stood on the frontlines of the world’s most brutal conflicts and borne witness to the best and the worst of humanity. 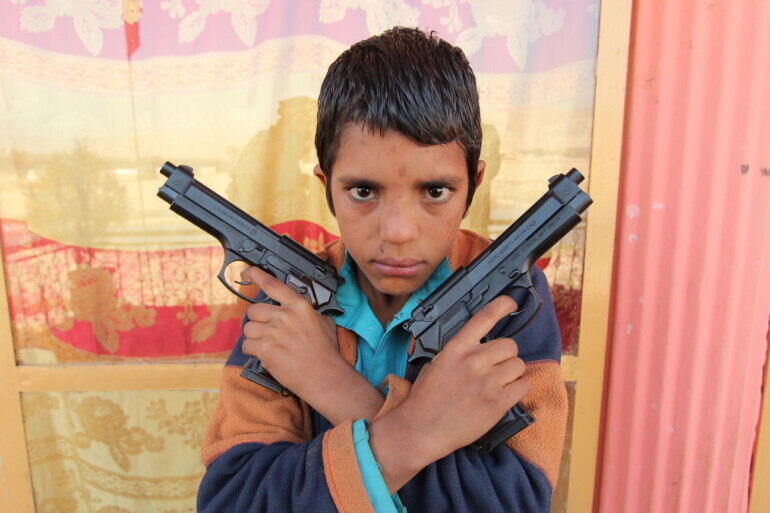 Now living in Afghanistan’s remote, Taliban-infested Jalalabad province, Gittoes turns his attention to the lives of the children and outcasts of this war-torn land. In Snow Monkey, Gittoes paints a portrait of a Jalalabad seething with humanity, adversity and hope – focusing on three gangs of children: the Ghostbusters, persecuted Kochi boys who hawk exorcisms of bad luck and demons; the Snow Monkeys, who sell ice cream to support their families; and the Gangsters, a razor gang led by a nine-year-old antihero called Steel, terrifying to the core but still capable of experiencing aspects of the childhood seemingly taken from him. With a deeply humane vision that won him the Sydney Peace Prize, Gittoes shows us the unseen nature of Afghanistan’s politics, culture and society, up close and startlingly personal.